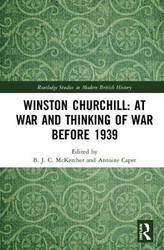 An incisive, comparative study of the development of Post-World War II progressive politics in Britain, France, and the United States Toward the end of World War II, the three democracies faced a common choice: return to the civic order of prewar normalcy or embark instead on a path of progressive transformation. 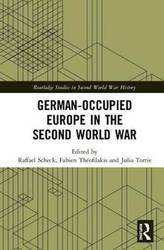 In this ambitious and original work, Isser Woloch assesses the progressive agendas that crystallized in each of the allied democracies: their roots in the interwar decades, their development during wartime, the struggles to enact them in the early postwar years, and the mixed outcomes in each country. The Postwar Moment examines three progressive postwar manifestos that reveal a common agenda in the three nations. 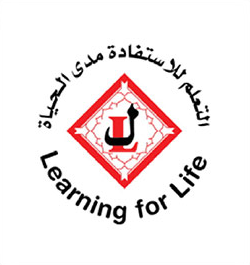 The issues at stake included priorities for reconstruction or reconversion; full employment via economic planning; price controls; the roles of trade unions; expansion of social security; national health care; public housing; and educational reform. A highly regarded scholar of European history, Woloch persuasively adds the United States to a discussion that is usually focused solely on Europe. Eric Hazan, author of the acclaimed The Invention of Paris, leads us by the hand in this walk from Ivry to Saint-Denis, passing such familiar landmarks as the Luxembourg Gardens, the Pompidou Centre, the Gare du Nord and Montmartre, as well as little-known alleyways and arcades. 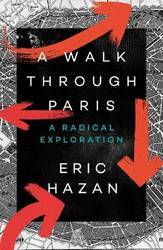 Filled with historical anecdotes, geographical observations and literary references, Hazan's walk guides us through an unknown Paris. He shows us how, through planning and modernisation, the city's revolutionary past has been erased in order to enforce a reactionary future; but by walking and observation, he shows us how we can regain our knowledge of the radical past of the city of Robespierre, the Commune, Sartre and the May '68 uprising. And by drawing on his own life story, as surgeon, publisher and social critic, Hazan vividly illustrates a radical life lived in the city of revolution. Planning and modernization have accelerated the erasure of its revolutionary history, yet through walking and observation, Hazan shows how we can regain our knowledge of the city of Robespierre, the Commune, Sartre, and the May '68 uprising. Drawing on his own life story, as surgeon, publisher and social critic, Hazan vividly illustrates the interplay and concord between a city and the personality it forms. A passionate account of how the gulf between France's metropolitan elites and its working classes are tearing the country apart Christophe Guilluy, a French geographer, makes the case that France has become an American society -one that is both increasingly multicultural and increasingly unequal. The divide between the global economy's winners and losers in today's France has replaced the old left-right split, leaving many on the periphery. As Guilluy shows, there is no unified French economy, and those cut off from the country's new economic citadels suffer disproportionately on both economic and social fronts. In Guilluy's analysis, the lip service paid to the idea of an open society in France is a smoke screen meant to hide the emergence of a closed society, walled off for the benefit of the upper classes. The ruling classes in France are reaching a dangerous stage, he argues; without the stability of a growing economy, the hope for those excluded from growth is extinguished, undermining the legitimacy of a multicultural nation. Even after the legendary evacuation from Dunkirk in June 1940 there were still large British formations fighting the Germans alongside their French allies. After mounting a vigorous counterattack at Abbeville and then conducting a tough defence along the Somme, the British were forced to conduct a second evacuation from the ports of Le Havre, Cherbourg, Brest and St Nazaire. 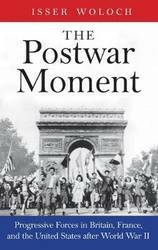 While France was in its death throes, politicians and soldiers debated what to do - flee to England or North Africa, or seek an armistice. 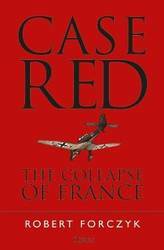 Case Red captures the drama of the final three weeks of military operations in France in June 1940, and explains the great impact it had on the course of relations between Britain and France during the remainder of the war. 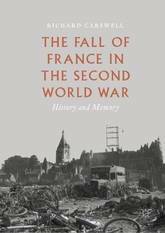 It also addresses the military, political and human drama of France's collapse in June 1940, and how the windfall of captured military equipment, fuel and industrial resources enhanced the Third Reich's ability to attack its next foe - the Soviet Union. In 1793 France was facing foreign invasion along its borders and a fierce political war was raging in Paris when a large-scale revolt, centred on the western Department of the Vendee, suddenly erupted, almost bringing the new-born French Republic to its knees. The immediate trigger for this Great War of the Vendee, barely known outside of France, was the attempted imposition of conscription but the region seethed at the erosion of its traditional values and way of life. The persecution of the Catholic Church and killing of the king symbolized to the Vendeens how dangerous the new Republic had become; in a matter of weeks tens of thousands had flocked to fight for the 'Catholic and Royal' cause. 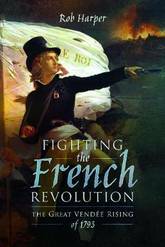 This is the story of the new Republic's ferocious military campaigns against the armies of the Vendee, which fiercely defied them between March and December 1793, tying down hundreds of thousands of troops desperately needed on the frontiers. Napoleon later called it 'The War of Giants' and it directly led to the implementation of some of the Republic's most extreme laws. 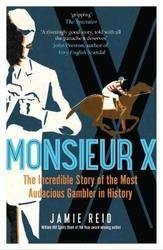 *William Hill Sports Book of the Year award winning author* Monsieur X is a dazzling tale of glamour, riches, violence and ultimately tragedy. Patrice des Moutis was a handsome, charming and well-educated Frenchman with an aristocratic family, a respectable insurance business, and a warm welcome in the smartest Parisian salons. He was also a compulsive gambler and illegal bookie. Between the late 1950s and the early 1970s, Des Moutis made a daring attempt to beat the French state-run betting system. His success so alarmed the authorities that they repeatedly changed the rules of betting in an effort to stop him. And so a battle of wills began, all played out on the front pages of the daily newspapers as the general public willed Des Moutis on to ever greater triumphs. He remained one step ahead of the law until finally the government criminalised his activities, driving him into the arms of the underworld. Eventually the net began to close, high-profile characters found themselves the target of the state's investigation, and people began turning up dead. 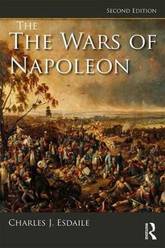 First published in 1995 to great critical acclaim, The Wars of Napoleon provides students with a comprehensive survey of the Napoleonic Wars around the central theme of the scale of French military power and its impact on other European states, from Portugal to Russia and from Scandinavia to Sicily. 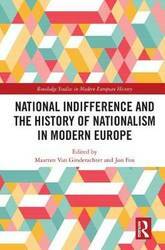 The book introduces the reader to the rise of Napoleon and the wider diplomatic and political context before analysing such subjects as how France came to dominate Europe; the impact of French conquest and the spread of French ideas; the response of European powers; the experience of the conflicts of 1799-1815 on such areas of the world as the West Indies, India and South America; the reasons why Napoleon's triumph proved ephemeral; and the long-term impact of the period. 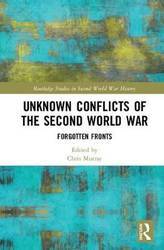 This second edition has been revised throughout to include a completely re-written section on collaboration and resistance, a new chapter on the impact of the Napoleonic Wars in the wider world and material on the various ways in which women became involved in, or were affected by, the conflict. 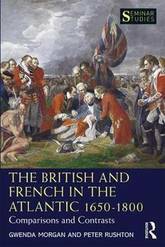 Thoroughly updated and offering students a view of the subject that challenges many preconceived ideas, The Wars of Napoleon remains an essential resource for all students of the French Revolutionary Wars as well as students of European and military history during this period. 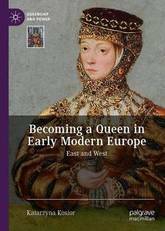 Queens of Poland are conspicuously absent from the study of European queenship-an absence which, together with early modern Poland's marginal place in the historiography, results in a picture of European royal culture that can only be lopsided and incomplete. Katarzyna Kosior cuts through persistent stereotypes of an East-West dichotomy and a culturally isolated early modern Poland to offer a groundbreaking comparative study of royal ceremony in Poland and France. The ceremonies of becoming a Jagiellonian or Valois queen, analysed in their larger European context, illuminate the connections that bound together monarchical Europe. 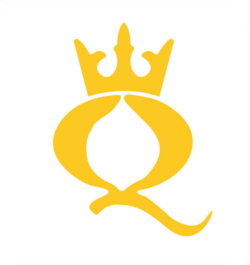 These ceremonies are a gateway to a fuller understanding of European royal culture, demonstrating that it is impossible to make claims about European queenship without considering eastern Europe. A groundbreaking history of how Africans in the French Empire embraced both African independence and their Catholic faith during the upheaval of decolonization, leading to a fundamental reorientation of the Catholic Church. African Catholic examines how French imperialists and the Africans they ruled imagined the religious future of French sub-Saharan Africa in the years just before and after decolonization. 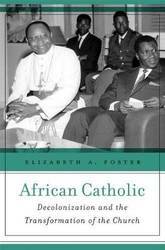 The story encompasses the political transition to independence, Catholic contributions to black intellectual currents, and efforts to alter the church hierarchy to create an authentically African church. Elizabeth Foster recreates a Franco-African world forged by conquest, colonization, missions, and conversions-one that still exists today. We meet missionaries in Africa and their superiors in France, African Catholic students abroad destined to become leaders in their home countries, African Catholic intellectuals and young clergymen, along with French and African lay activists. All of these men and women were preoccupied with the future of France's colonies, the place of Catholicism in a postcolonial Africa, and the struggle over their personal loyalties to the Vatican, France, and the new African states. Having served as the nuncio to France and the Vatican's liaison to UNESCO in the 1950s, Pope John XXIII understood as few others did the central questions that arose in the postwar Franco-African Catholic world. Was the church truly universal? Was Catholicism a conservative pillar of order or a force to liberate subjugated and exploited peoples? Could the church change with the times? He was thinking of Africa on the eve of Vatican II, declaring in a radio address shortly before the council opened, Vis-a-vis the underdeveloped countries, the church presents itself as it is and as it wants to be: the church of all. 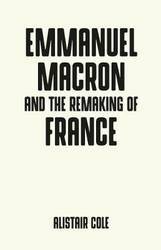 This book looks at the period 2015-18 in French politics, a turbulent time that witnessed the apparent collapse of the old party system, the taming of populist and left-wing challenges to the Republic and the emergence of a new political order centred on President Emmanuel Macron. The election of Macron was greeted with relief in European chancelleries and appeared to give a new impetus to European integration, even accomplishing the feat of making France attractive after a long period of French bashing and reflexive decline. But what is the real significance of the Macron presidency? 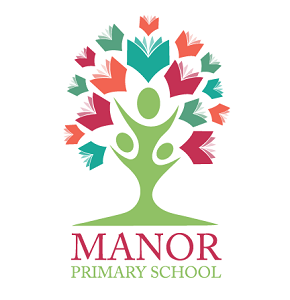 Is it as transformative as it appears? Emmanuel Macron and the two years that changed France provides a balanced answer to this pressing question. 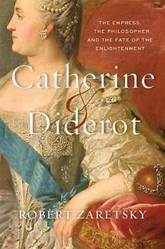 It is written to appeal to a general readership with an interest in French and European politics, as well as to students and scholars of French politics. -- . 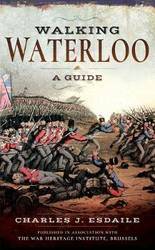 Charles Esdaile's new guide to the Battle of Waterloo presents the experience of the soldiers who took part in the battle in the most graphic and direct way possible - through their own words. In a series of walks he describes in vivid detail what happened in each location on 18 June 1815 and he quotes at length from eyewitness accounts of the men who were there. Each phase of the action during that momentous day is covered, from the initial French attacks and the intense fighting at Hougoumont and La Haye Sainte to the charges of the French cavalry against the British squares and the final, doomed attack of Napoleon's Imperial Guard. 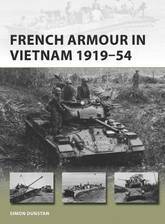 This innovative guide to this historic site is fully illustrated with a selection of archive images from the War Heritage Institute in Brussels, modern colour photographs of the battlefield as it appears today and specially commissioned maps which allow the visitor to follow the course of the battle on the ground. Jean-Paul Bertaud is the leading French authority on the army of the French Revolution, and La Revolution armee is the authortative treatment of the firest great national, patriotic, revolutionary, and mass army, engaged in what has been called the first total war: that between revolutionary France and the other European powers. The book is a successful attempt to integrate military history with social and political history and thereby to depict the army as a school for the republic that by subtle changes after 1795 made way for the Napoleonic regime. The distinguished historian R.R. Palmer presents the first translation of this work into English in a volume that will quickly become indispensable for French historians, historical sociologists, and political scientists interested in armies and revolutions. 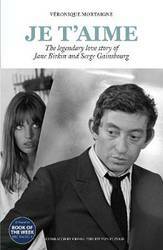 The theme of the book is suggested by its French title: the Revolution armed. 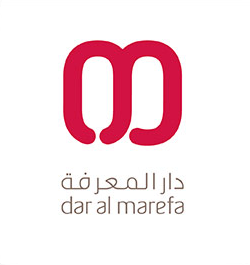 That is, the book is primarily about the Revolution, and specifically the Revolution in its relation to armed force. 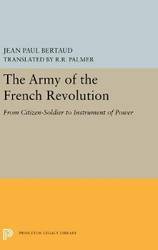 This revolution, and this army, activated the idea of the citizen-soldier exemplified by the ancient classical republics, and favored by Jean-jacques Rousseau and other eighteenth-century thinkers, but never before realized on so large and portentous a scale as in France in the 1790s. Jean-Paul Bertaud is Professor of Modern History at the University of Paris I (the Sorbonne). He has published widely in France on aspects of the French Revolution. R.R. Palmer is Professor Emeritus at Yale University and author of numerous books, including the two-volume The Age of the Democratic Revolution (1959 and 1964), Twelve Who Ruled (1941), and The Improvement of Humanity: Education and the French Revolution (1985), all published by Princeton University Press. He has translated many works from the French, most recently The Two Tocquevilles, Father and Son: Herve and Alexis de TOcqueville on the Coming of the French Revolution (Princeton, 1987). Originally published in 1988. The Princeton Legacy Library uses the latest print-on-demand technology to again make available previously out-of-print books from the distinguished backlist of Princeton University Press. 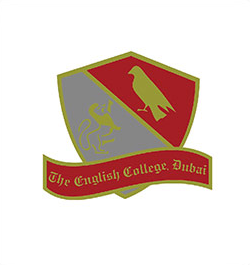 These editions preserve the original texts of these important books while presenting them in durable paperback and hardcover editions. The goal of the Princeton Legacy Library is to vastly increase access to the rich scholarly heritage found in the thousands of books published by Princeton University Press since its founding in 1905. From Zinedine Zidane to Michael Jordan and from Marie-Jose Perec to Lance Armstrong, over the last thirty years, numerous individuals have emerged through the global sports industry to capture the imagination of the French public and become touchstones for the discussion of a host of social issues. This book provides new insights into the evolution of the global sporting spectacle through a study of star athletes, emblematic organisations, key locations, and celebrated moments in French sport from the mid-1980s to the present day. 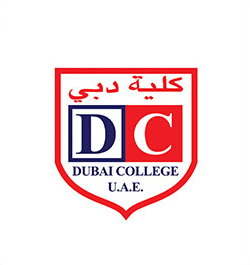 It draws on a wide range of sources, from film, television, advertising, newspapers, and popular music to cover key developments in sports including football, motorsport, basketball, and cycling. Sport here emerges as a privileged site for the discussion of the nature of contemporary nationhood, as well as for the performance of France's postcolonial heritage. Simultaneously, sport provides a platform for the playing out of concerns over globalisation, and, in a time of post-industrial uncertainty, for nostalgic reminiscences of an apocryphal bygone era of social cohesion. 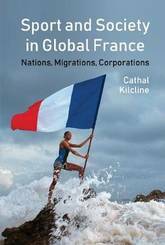 The exploration of these themes leads to new understandings of the ways sport influences and is implicated in broader social and cultural concerns in France today. 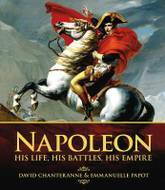 Napoleon: His Life, His Battles, His Empire offers an unprecedented insight into the mind of this extraordinary man who, from modest beginnings on the small island of Corsica, became Emperor of France and its vast empire. It examines the battles that made him a legend - Marengo, Austerlitz, Jena and Wagram - and looks at his social and political reforms which revolutionized the western world. Illustrated with stunning artworks, sketches and photographs, the authors draw on painstakingly researched documents, including the Treaty of Campo Formio, signed by Napoleon, love letters from Napoleon to Josephine, Napoleon's proclamation to his troops before the Battle of Austerlitz and the codicil to the great man's will, to give a glorious account of a fascinating man. 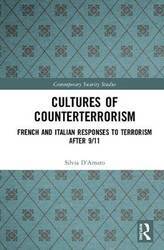 This book investigates counterterrorism responses from a strategic-culturalist perspective, focusing on France and Italy in the post-9/11 era. Terrorism occupies a predominant space within contemporary political debate across all European countries. Recent attacks in Europe have raised many questions about the status of counterterrorism structures within European countries, revealing a wide range of practical as well as discursive security implications. This work provides an original contribution to the understanding of counterterrorism by asking how values, norms, and a shared sense of identity matter in policy dynamics. It explores and assesses which cultural elements are relevant for the fight against terrorism and investigates the impact which these elements can have on practical approaches to terrorism. Despite the current attention to terrorist attacks in Europe, the cases of France and Italy in counterterrorism affairs are particularly overlooked by the existing literature; this book analyses, questions, and examines the strategy of these two countries through the instruments offered by the culturalist approaches to strategy. This book will be of much interest to students of terrorism studies, discourse analysis, European politics, security studies, and international relations in general. How a vast network of shadow credit financed European growth long before the advent of banking Prevailing wisdom dictates that, without banks, countries would be mired in poverty. Yet somehow much of Europe managed to grow rich long before the diffusion of banks. Dark Matter Credit draws on centuries of cleverly collected loan data from France to reveal how credit abounded well before banks opened their doors. This incisive book shows how a vast system of shadow credit enabled nearly a third of French families to borrow in 1740, and by 1840 funded as much mortgage debt as the American banking system of the 1950s. Dark Matter Credit traces how this extensive private network outcompeted banks and thrived prior to World War I--not just in France but in Britain, Germany, and the United States--until killed off by government intervention after 1918. Overturning common assumptions about banks and economic growth, the book paints a revealing picture of an until-now hidden market of thousands of peer-to-peer loans made possible by a network of brokers who matched lenders with borrowers and certified the borrowers' creditworthiness. 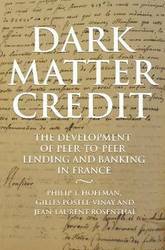 A major work of scholarship, Dark Matter Credit challenges widespread misperceptions about French economic history, such as the notion that banks proliferated slowly, and the idea that financial innovation was hobbled by French law. By documenting how intermediaries in the shadow credit market devised effective financial instruments, this compelling book provides new insights into how countries can develop and thrive today. The dead of Paris, before the French Revolution, were most often consigned to mass graveyards that contemporaries described as terrible and terrifying, emitting putrid miasmas that were a threat to both health and dignity. 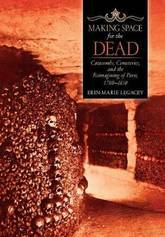 In a book that is at once wonderfully macabre and exceptionally informative, Erin-Marie Legacey explores how a new burial culture emerged in Paris as a result of both revolutionary fervor and public health concerns, resulting in the construction of park-like cemeteries on the outskirts of the city and a vast underground ossuary. Making Space for the Dead describes how revolutionaries placed the dead at the center of their republican project of radical reinvention of French society and envisioned a future where graveyards would do more than safely contain human remains; they would serve to educate and inspire the living. Legacey unearths the unexpectedly lively process by which burial sites were reimagined, built, and used, focusing on three of the most important of these new spaces: the Paris Catacombs, Pere Lachaise cemetery, and the short-lived Museum of French Monuments. By situating discussions of death and memory in the nation's broader cultural and political context, as well as highlighting how ordinary Parisians understood and experienced these sites, she shows how the treatment of the dead became central to the reconstruction of Parisian society after the Revolution. On September 1, 1910, France became the last great naval power to lay down a dreadnought battleship, the Courbet. The ensuing Courbet and Bretagne-class dreadnoughts had a relatively quiet World War I, spending most of it at anchor off the entrance to the Adriatic, keeping watch over the Austro-Hungarian fleet. The constraints of the Washington Naval Treaty prevented new battleships being built until the 1930s, with the innovative Dunkerque-class and excellent Richelieu-class of battleships designed to counter new German designs. After the fall of France in 1940, the dreadnoughts and fast battleships of the Marine Nationale had the unique experience of firing against German, Italian, British, and American targets during the war. 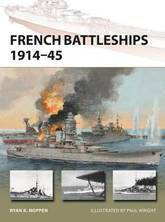 This authoritative study examines these fascinating ships, using detailed colour plates and historical photographs, taking them from their inception before World War I, through their service in World War II including the scuttling of the French fleet at Toulon in 1943, and the service of Richelieu in the war against Japan. 'It is I think the most radical Book that has been written in these late centuries . . . and will give pleasure and displeasure, one may expect, to almost all classes of persons.' Carlyle Thomas Carlyle's history of the French Revolution opens with the death of Louis XV in 1774 and ends with Napoleon suppressing the insurrection of the 13th Vendemaire. 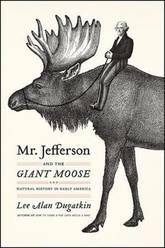 Both in Its form and content, the work was intended as a revolt against history writing itself, with Carlyle exploding the eighteenth-century conventions of dignified gentlemanly discourse. Immersing himself in his French sources with unprecedented imaginative and intellectual engagement, he recreates the upheaval in a language that evokes the chaotic atmosphere of the events. 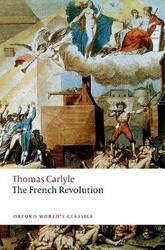 In the French Revolution Carlyle achieves the most vivid historical reconstruction of the crisis of his, or any other, age. This new edition offers an authoritative text, a comprehensive record of Carlyle's French, English, and German sources, a select bibliography of editions, related writings, and critical studies, chronologies of both Thomas Carlyle and the French Revolution, and a new and full index. In addition, Carlyle's work is placed in the context of both British and European history and writing, and linked to a variety of major figures, including Edward Gibbon, Friedrich Nietzsche, George Eliot, John Stuart Mill, Hegel, and R. G. Collingwood. Many organizations contributed to the Allied cause during World War II by funneling hundreds of downed airmen, escaped POWs, Engelandvaarders, and Resistance fighters out of occupied Europe and allowing them to rejoin the fight against Nazi Germany. The work of escape lines was carried out by civilian volunteers, or helpers who looked after evaders and guided them from one safe house to the next, each time risking their own lives. Many of the escape lines followed routes through France to the foothills of the Pyrenees. Here, the evaders were handed over to passeurs, or people smugglers, responsible for guiding them over the Pyrenees and across the border with neutral Spain. In France, Toulouse was an important nexus of escape lines working together, Dutch-Paris, Francoise, and the unnamed network operated by Gabriel Nahas and passeur Jean-Louis Bazerque ( Charbonnier ). As evader numbers stagnated, Charbonnier recruited more passeurs and opened up more routes over the central Pyrenees. As the number of evaders in each group reached new highs, risk of accident or detection by the Grenzpolizei grew. Charbonnier did not survive the war and his accomplishments have largely gone unrecognized. 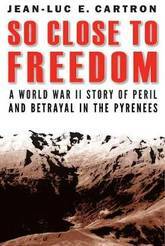 His one failed attempt, when 29 evaders in a group of 35 were captured near Luchon on April 21-22, 1944, has only been told in bits and pieces and only through the lens of a few American and British airmen who believed that one of the passeurs had betrayed the group. Drawing on government and private archives in the United States, France, Belgium, the Netherlands, and the United Kingdom, Jean-Luc Cartron gives the first detailed account of what happened. 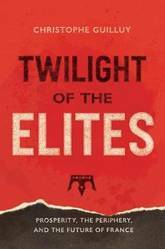 The author reveals the heretofore unknown identities of some of the evaders in the party, among them a Belgian Olympian, a French priest and leader of the French Resistance, and the son of Mary Lindell, who was much celebrated in the UK after the war. Using multiple testimonies and legal proceedings, Cartron reveals how Charbonnier operated and how the group was betrayed and by whom.